Light and airy perfection. Ahhh...Our mousse desserts offer the perfect option when you're looking for lighter fare that's a little sweet but not too filling. We offer an extraordinary variety in convenient pastry bags, clear cups and cakes. 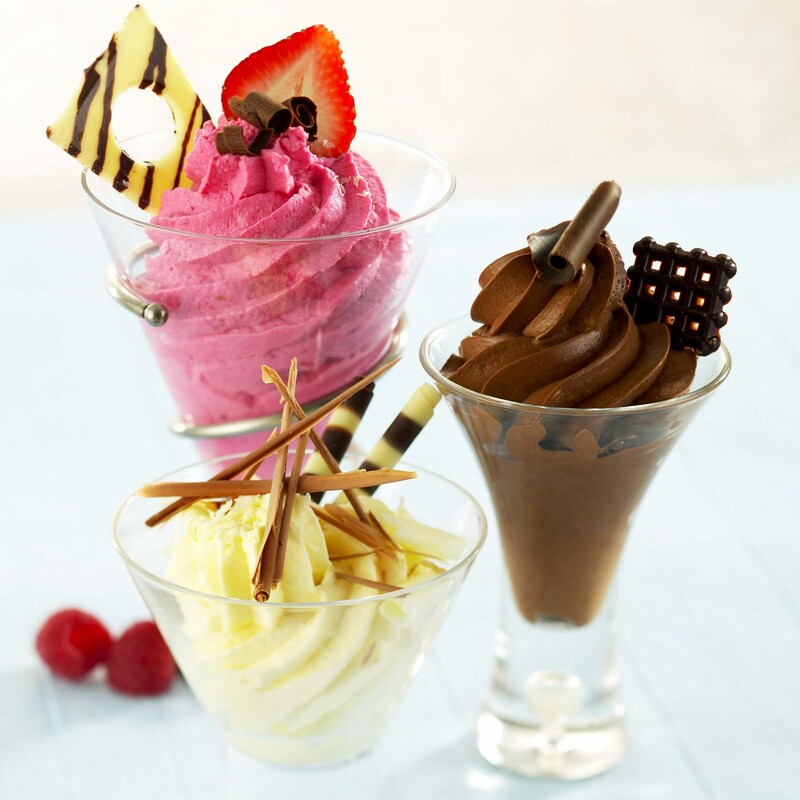 Mousse bags can be layered to create a parfait dessert, in shot glasses or used as cake icing. Mousse cakes can be topped with your own personal touch.